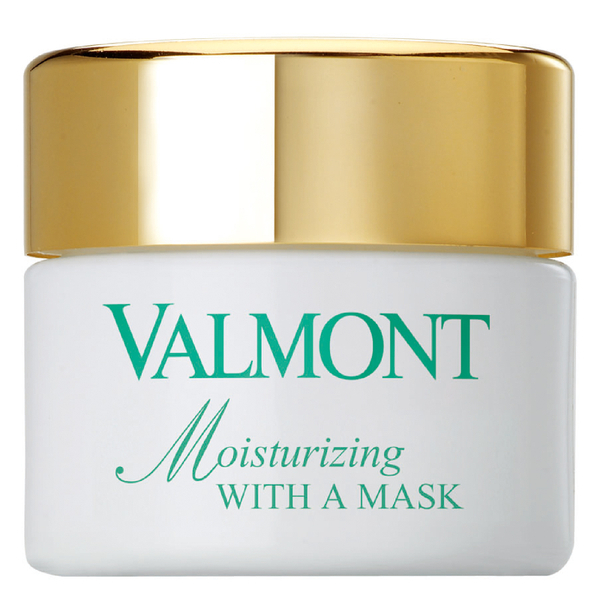 Rescue extremely dry and dehydrated skin with the Valmont Moisturizing with a Mask; a rich, intensive treatment suitable for daily use to repair and nourish. Ideal after exposure to the elements including skiing or sun, the creamy mask instantly replenishes moisture levels with pure Phyto-Alpine and Rosa Moschata extracts delivering essential nutrients and vitamins. It actively seeks to reinforce the cutaneous structure and stimulate cellular renewal, helping promote a smoother and more refined surface texture with a visible reduction in the appearance of fine lines and wrinkles. The complexion is left feeling revitalised and fresh, with an age-defying radiance and supple touch.